Huawei Technologies Co., Ltd is not only a renowned brand of mobiles; founded in 1987, the Chinese multinational is a company specialised in research and development of electronic products, with R&D centres in the main cities of China and a multitude of countries of the five continents. In this case, in Dhaka (Bangladesh), a Huawei Exhibition Center has been created, in which the Solid Surface KRION has been used, thanks to Nupami BD Limitedy, the official distributor of PORCELANOSA Group in Bangladesh. 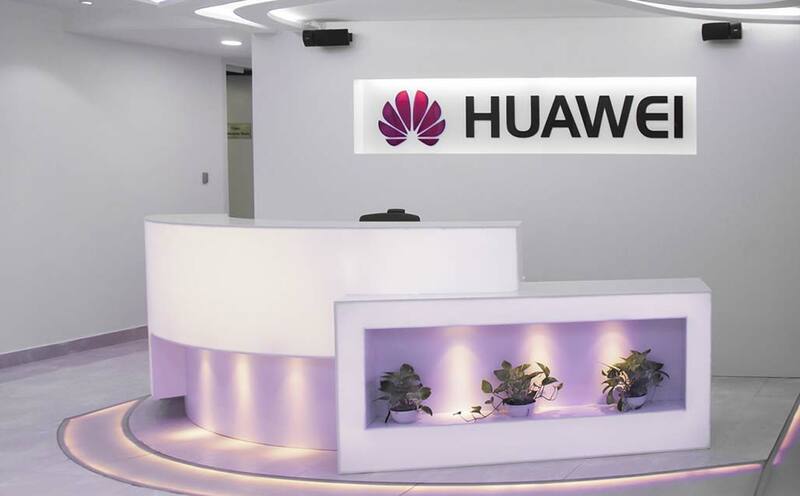 We can find KRION in the Huawei Exhibition Center, transformed into reception counters, furniture and commercial units, all in the colours 1100 Snow White and 4102 Extreme Light with the possibility of backlighting, giving a spectacular effect to rooms. Bangladesh is one of the countries of the south of Asia where the Solid Surface KRION is being best received. At this time, there is a competition being held between the Institute of Architects Bangladesh ( IAB) and Nupami BD Lited, with the theme “Furniture created with the Solid Surface KRION”.